Craftbukkit is a modified Minecraft server, which allows us to use plugins along with being able to control it with SpaceBukkit. However, due to some problems, the download link for CraftBukkit has been DCMA’d. Luckilly for us, we can still gain access to CraftBukkit, but we have to compile it ourselves. 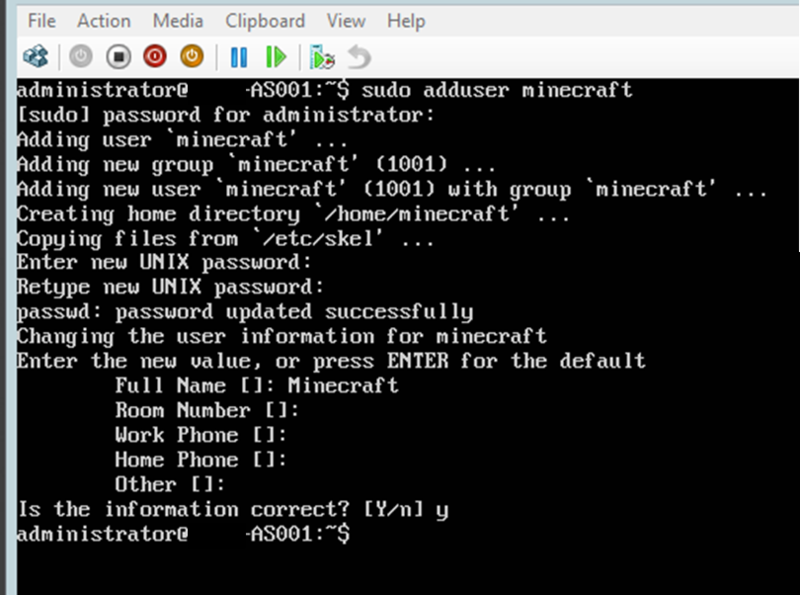 This will take a bit of time, but it will mean that we have a fully functioning CraftBukkit server. Log in to your server with the administrator username and password that was set up. Once you have logged in, we need to download and install some programs, which will allow us to run the CraftBukkit server, along with some additional programs for running SpaceBukkit server later on. Type the following command, and press Enter. Type in your password when prompted. A large number of files will now start to be downloaded, which may take a little while depending on the speed of your Internet connection. 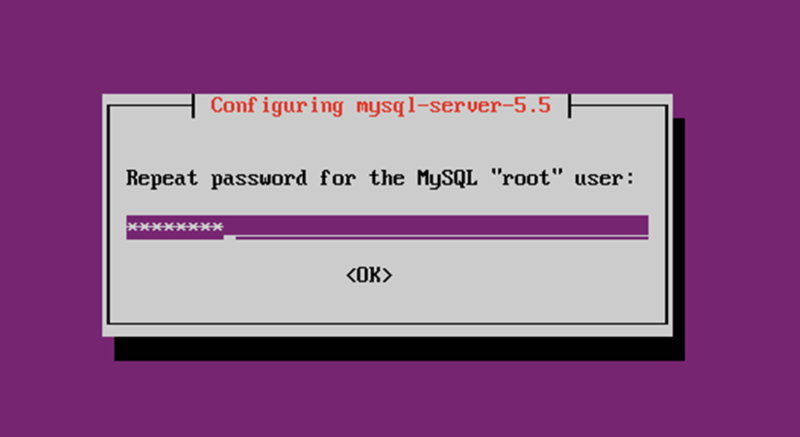 When some of the programs as being installed, you will be asked for a root password for the MySQL database. Type one in, which should ideally be different from your login password, then press Enter. When you are asked to confirm the password, type it in again to check that you typed it in correctly. Press Enter when you have typed it in. The remaining programs will now install. This may take a little bit of time to complete, so just wait for it to do its job. Once they’re all installed, you will be back at the command prompt. So that we don’t create any security problems by running the CraftBukkit server under the administrator account (plus, it’ll keep the home folder tidier) we need to create a new account that we will be running the server under. Type the line below, and then press Enter. You will need to type in your password if prompted. The new user account will be created, along with their home directory. After a few seconds, you will be prompted to type in the password for this new account. It is advisable to use a different password for this account. Type it in, press Enter, and then confirm the password. Fill in any other information that you find relevant to this new user account, which will probably just be the name of the user – “Minecraft“. Press Enter to skip past any that you don’t want or need to type in. When you have reached the bottom of the list, press “Y” and then Enter to confirm that you agree with what you have just typed. We shall now swap onto this new account to continue setting up the rest of the CraftBukkit server, so type the following, and then the password for this new account. If everything is correct, the prompt will change from [email protected]<host> to [email protected]<host>. Now that we are logged into the new Minecraft user account, we can download the Spigot BuildTools file, which will allow us to compile and build CraftBukkit. Type the following command and then press Enter to download the file. Start the build process by typing the following command and then press Enter. This will take a while, and a lot of text will go up the screen. Once it’s completed (after a fair few number of minutes) you will be shown a success message. If you get to here, you have CraftBukkit available to you. 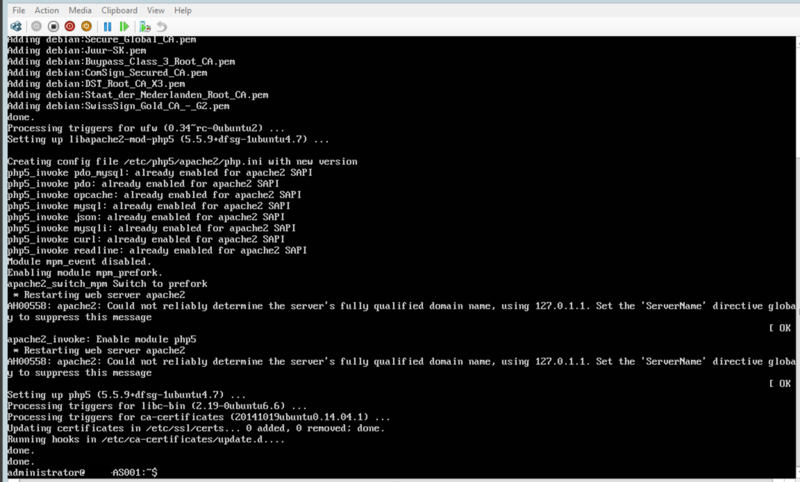 Now that everything has been complied, we can run the CraftBukkit server. Make sure that it works by typing the following and then press Enter. Replace the “<version>” with the version that it says it has compiled in the success message above. The server should run successfully, but it will complain about the EULA not being accepted, so we will need to accept it before it can run properly. This can easily be done by opening EULA file with the Nano text editor, by typing the below command and pressing Enter. What, you don’t think I should use Nano? Use the arrow keys to move down to the line “eula=false” line, and change the “falsetrue”. I hope you’ve read the Minecraft EULA. You don’t want to loose your soul! Once you have made the changes, press ctrl + o to save the file, press Enter when asked what name to give the file, then press ctrl + x to close nano. You will then be back at the command prompt. As you have now accepted the EULA, you can run the CraftBukkit server again by typing the below line and pressing Enter. The world will then be generated. Again, replace the “<version>” with your CraftBukkit version number. You will probably get a few error messages showing about files not existing, this is fine. Just wait until the “done (<time>s)!” line is shown. You may also get a warning saying that it can’t keep up. One final thing to do is to stop the CraftBukkit server from running, to make sure that everything works correctly. At the “>” prompt, type “stop” and press Enter. The server will save the worlds then stop itself. That’s it. You’ve now got yourself a fully functioning Minecraft server. If this is all that you want, then you don’t need to read any more of this guide. 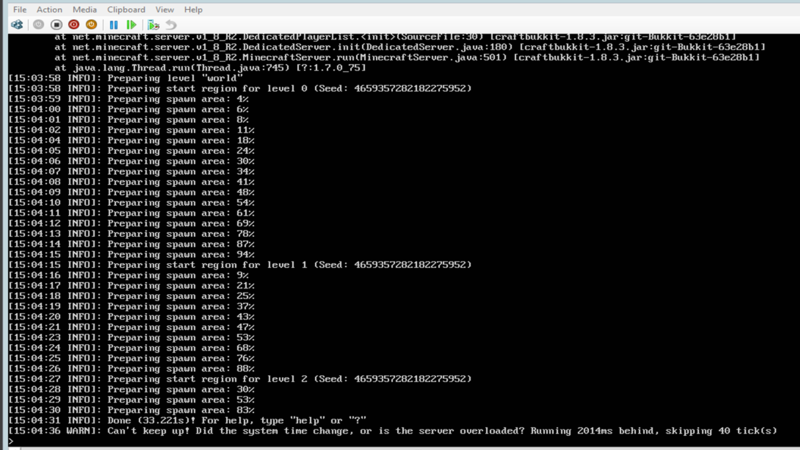 Just start the server by logging in with the minecraft user, then running the java –jar craftbukkit-<version>.jar command to start the server. If you want to be able to control the server through a web browser, then you’ll need to read for a bit longer. For the meanwhile, have a play on your server for a bit. Posted in Gaming, Guides. Tagged Minecraft.